How lucky are we that so many fruits and vegetables are available and in season all year long? 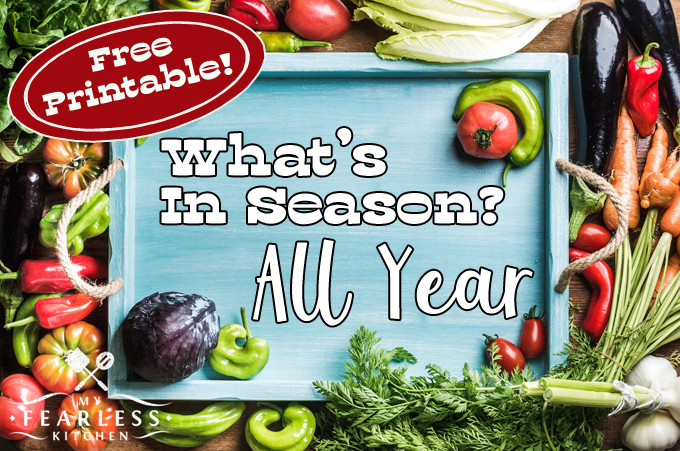 See what’s in season all year and find something new to try! Grocery stores carry a huge selection of fruits and vegetables all year long. You’ve probably noticed that the prices change throughout the year. That’s because fruits and veggies cost less when they are in season locally! What Fruits & Vegetables Are In Season All Year? Spring and summer are some of the best times for fresh fruits and vegetables. But there is plenty of produce that is “in season” all year long! This is the list of fruits and vegetables that are considered “in season” all year long.